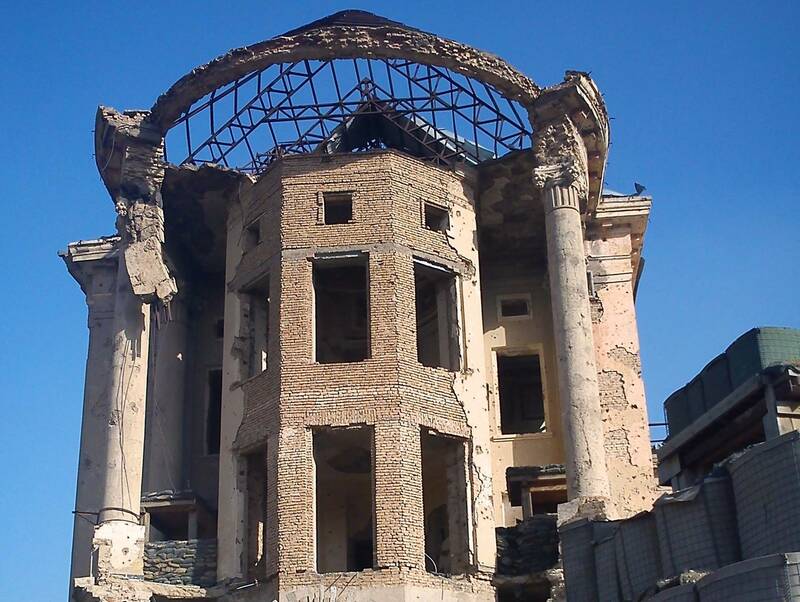 The ferocity of Afghan resistance to foreign rule has been recorded down the centuries, from Alexander the Great to our own modern times. 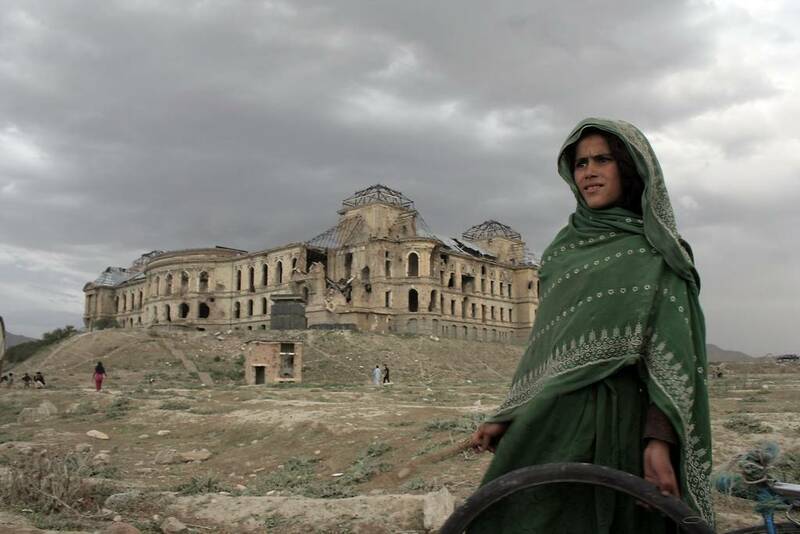 Yet it is not only outsiders who have been the focus of the ire of the Afghan people. The first Afghan ruler who endeavored to modernize Afghanistan on a western model, Amanullah Khan (left), was eventually forced to flee his own country. 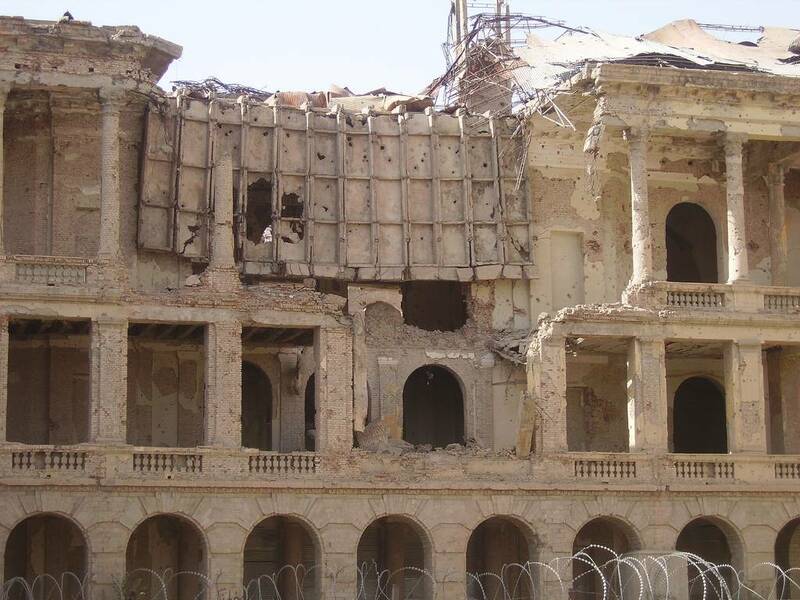 His once opulent palaces are now testimony to the conflict and violence which have dogged this complex country for more than a century. Amanullah Khan became the Emir of Afghanistan in 1919, shortly afterwards declaring himself King. He instigated the Third Anglo-Afghan War in the same year which was, ostensibly, a minor tactical victory for the British Empire. However, it effectively ended direct British influence in the country. 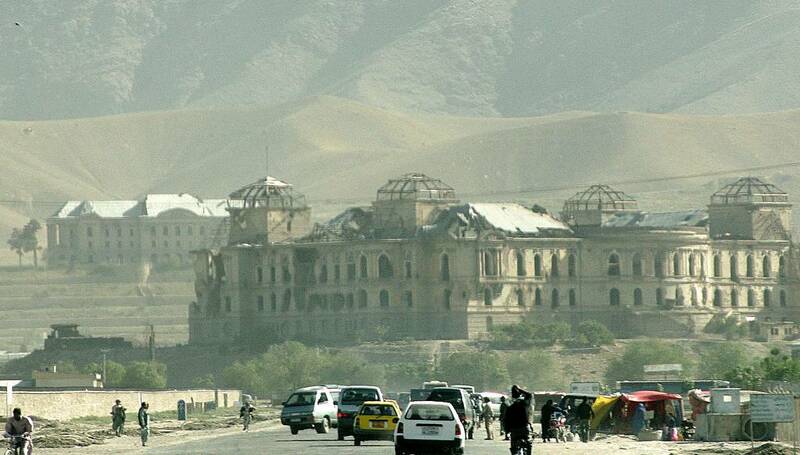 Afghanistan was able to recommence the right to conduct its own foreign affairs as an entirely independent nation. 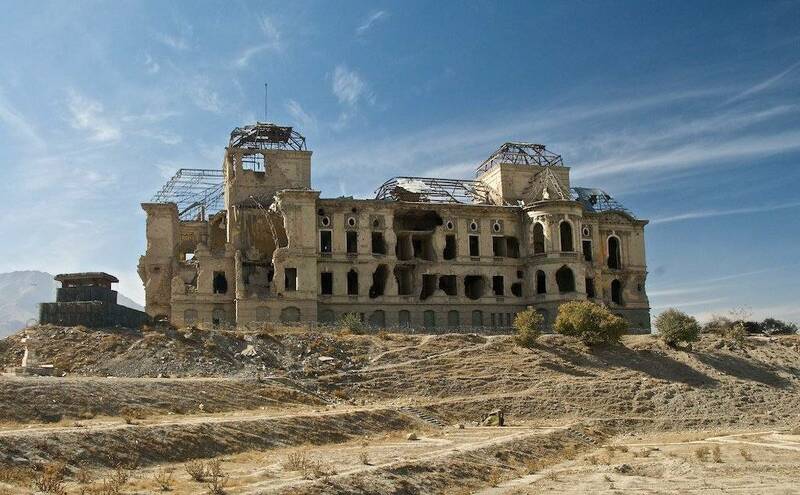 Amanullah Khan immediately ordered the construction of the Darul Aman Palace and grounds. His vision was grandiose to say the least. 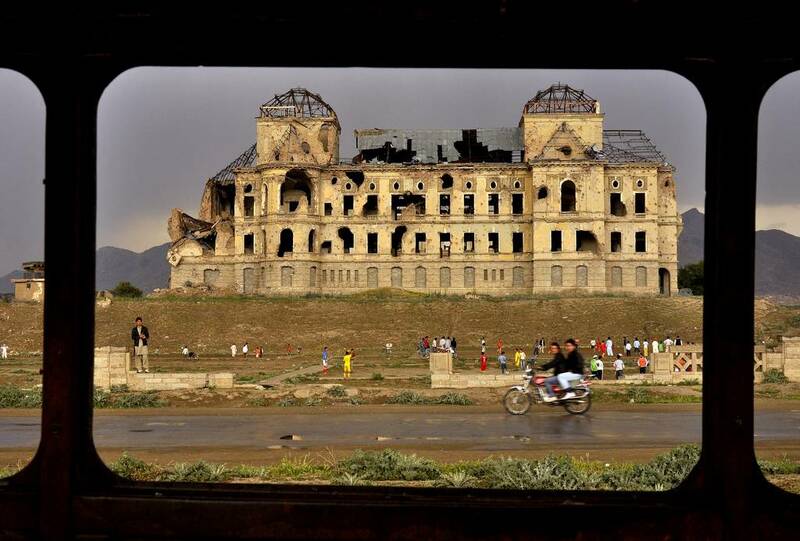 Ten miles outside the capital, Kabul, the palace – built in the neoclassical European style, was to be the center of government of a new, progressive Afghanistan. A wide boulevard would link this symbol of the future to the old city. New pluralistic schools appeared all over the country and the strict dress codes for women were overturned. A new constitution was to promote equal rights and freedoms for individuals. Yet the pace of his modernization proved to be too fast for many of his people. They started a rebellion. Ironically, the name of the new palace translates as the abode of peace. 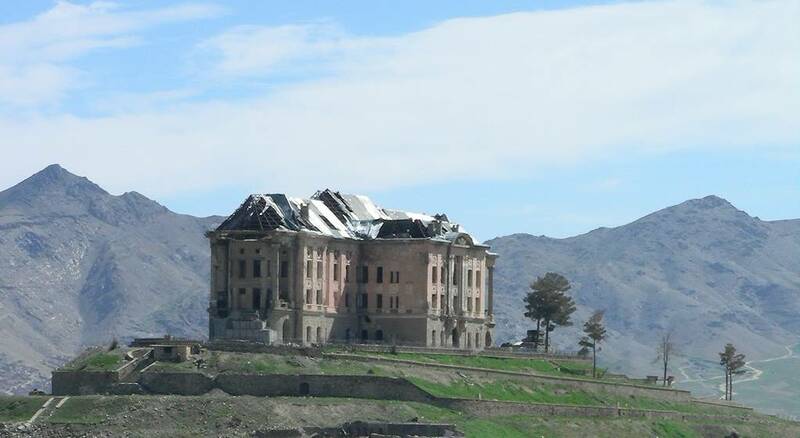 Yet this affront to traditionalism could also be referred to as the abode of Aman(ullah) which revealed to many the paternalistic and I know better nature of Amanullah’s rule. As the palace was to be the seat of government, he also ordered a palace to be built for his wife, Soraya, where the family would live and conduct their family affairs much along the lines of their royal European counterparts. 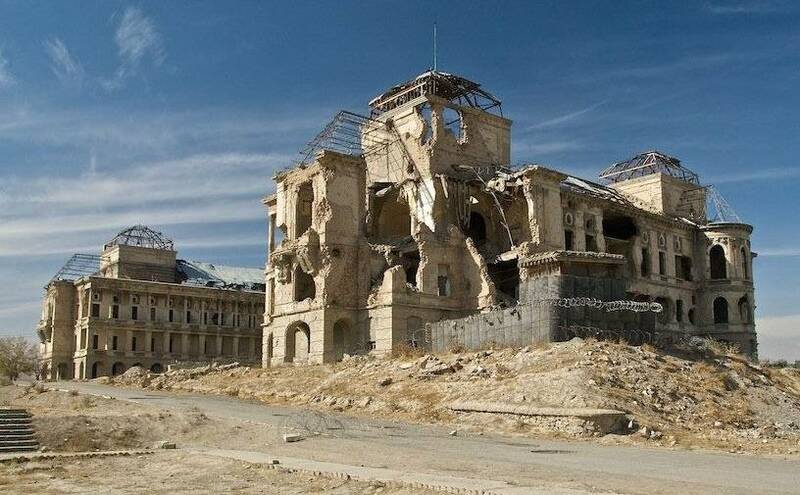 Less than a mile from Darul Aman, Tajbeg Palace (above) is now also a shattered wreck but was designed to be one of the most impressive landmarks of Afghanistan’s Versailles. 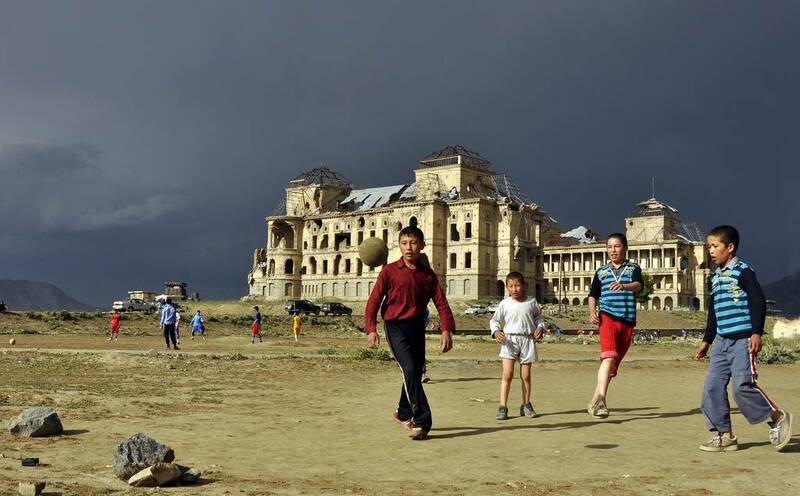 The two palaces can be confused due to their proximity and their architectural similarities. 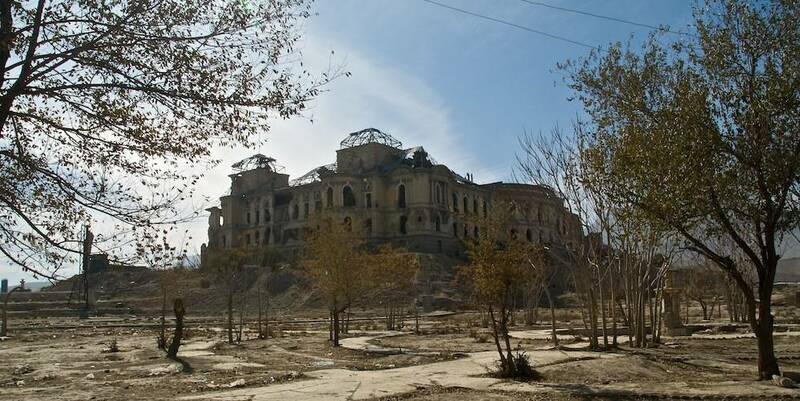 The city of Khost in the eastern part of the country rose against the King in 1924. The rebellion was violently supressed. Yet it was a presage of the shape of things to come. 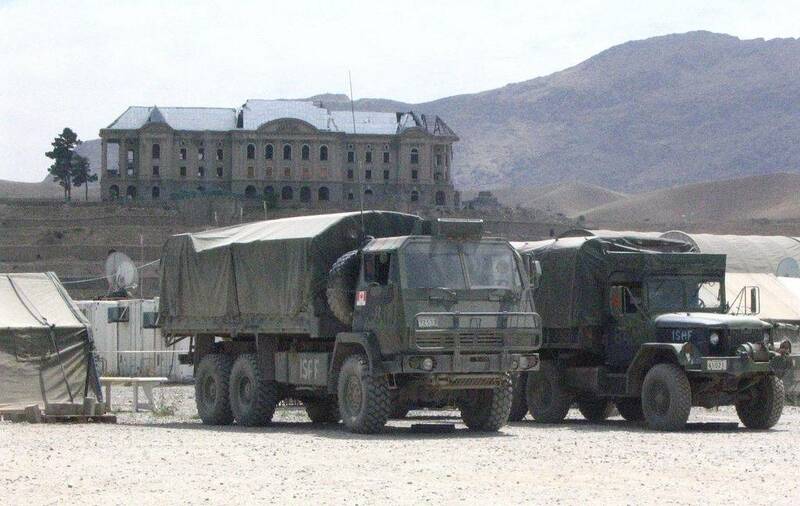 Meanwhile, work continued apace on Darul Aman and Tajbeg. Before he left for a tour of Europe in 1927, the King formally designated the palace and its environs to be the new future capital of the country. Amanullah would never see that happen. 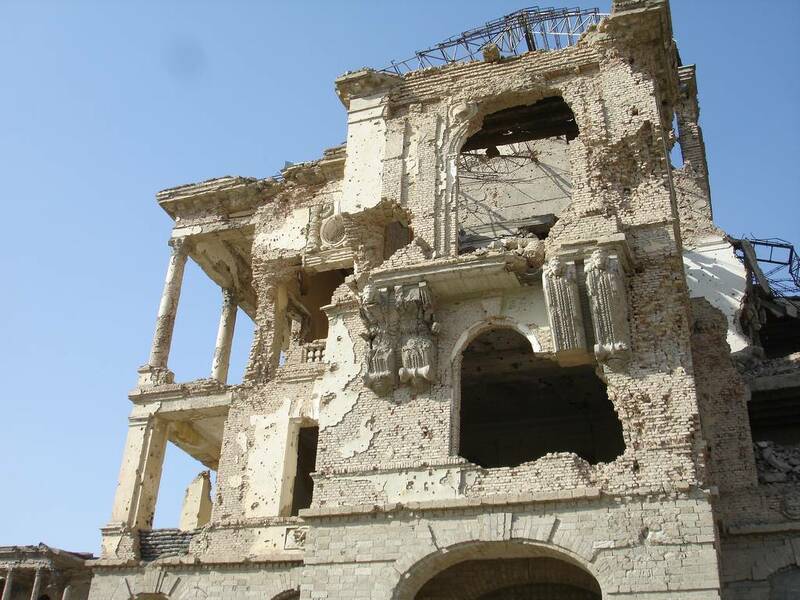 Taking advantage of his absence, a revolt against his rule started in Jalalabad. 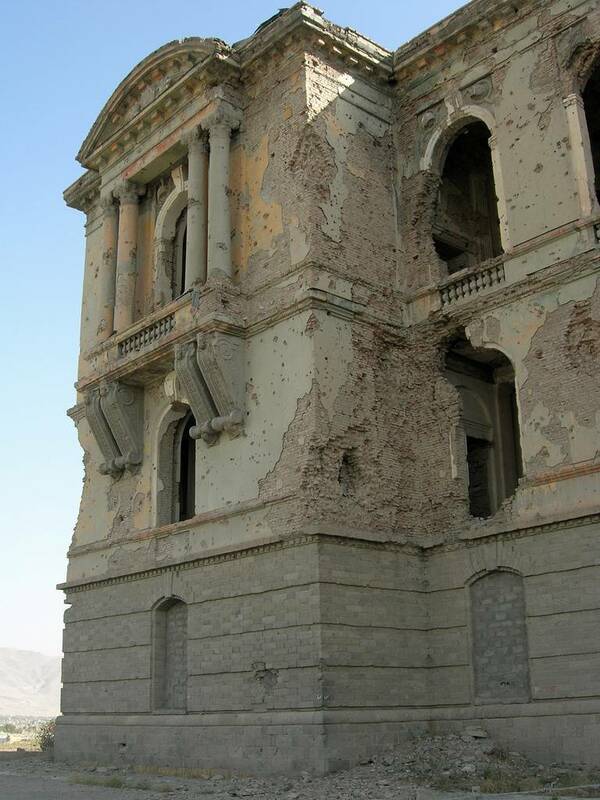 It was successful and the revolutionaries marched on Kabul two years later. Faced with an impossible fight, most of the army deserted. They either joined the side of the rebels or disappeared back to their own towns and villages. Amanullah was forced in to exile, first in India and then Switzerland, where he died in 1960. 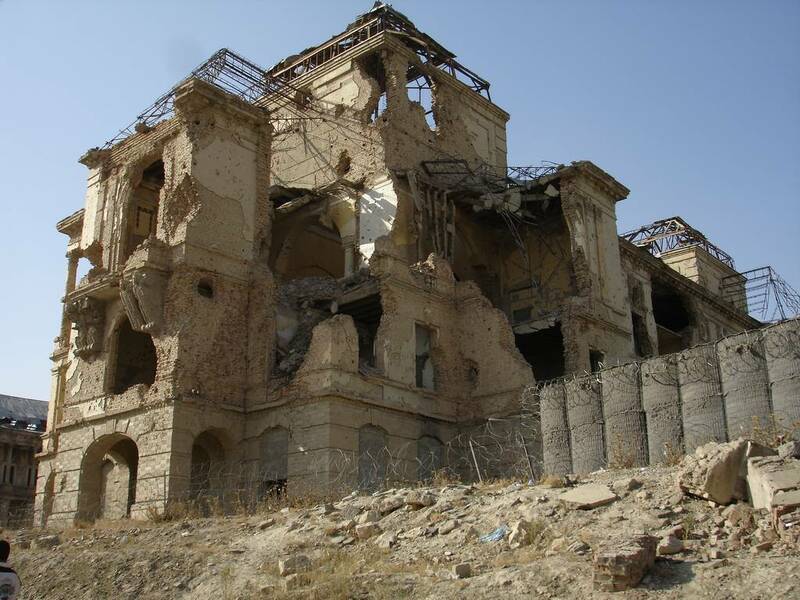 The palace of Darul Aman, as well as Tajbeg were never to be used by Amanullah as the seat whence he could oversee his vision. The decades which followed the exile of the king saw the fortunes of the two palaces rise and then inexorably, irrevocably fall. 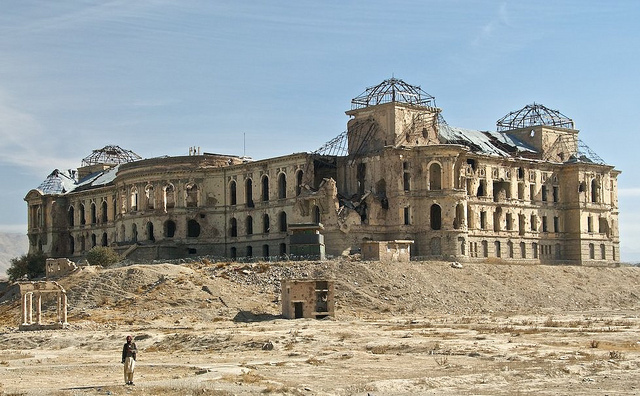 Although Darul Aman survived it was gutted by a fire in the late 1960s. 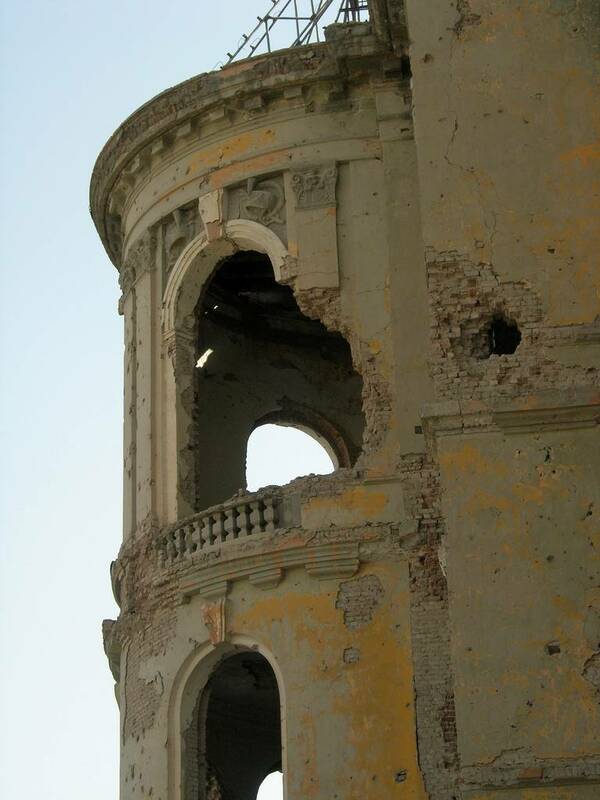 It underwent a restoration but the communist coup of 1978 saw it receive extensive damage. Later in the early 1990s it was the scene of fighting between rival factions as they fought for control of the city, adding to the damage. 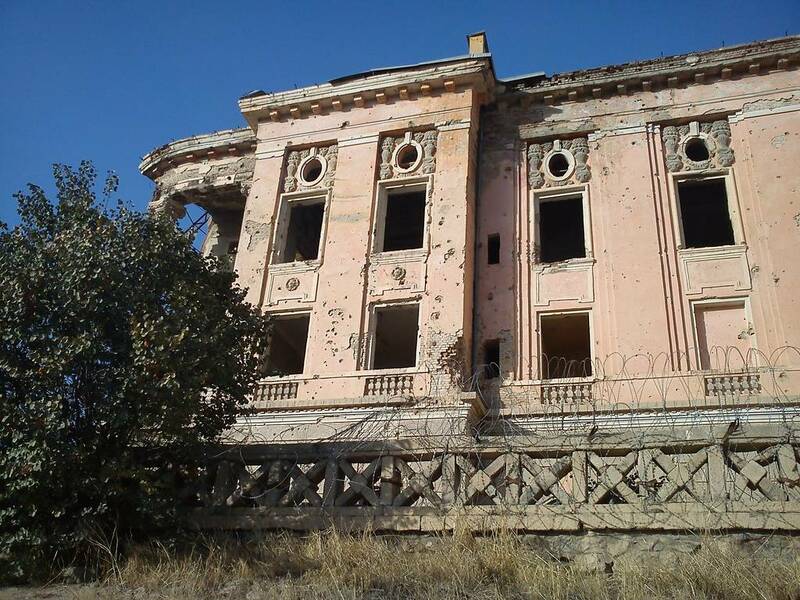 It was shelled by the Mujahedeen at the conclusion of the Soviet invasion, leaving the palace as we see it today. 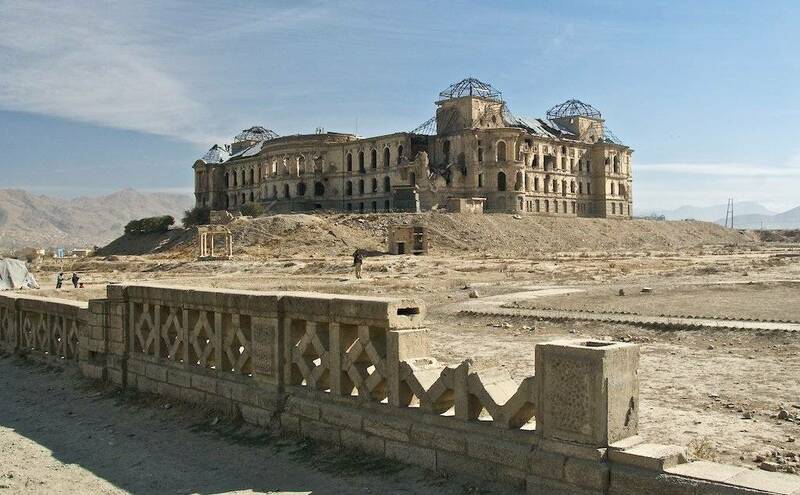 Tajbeg, the Queen’s Palace, fared a little better – but not much. Its downfall began on the 27 December 1979 when the USSR invaded the country. 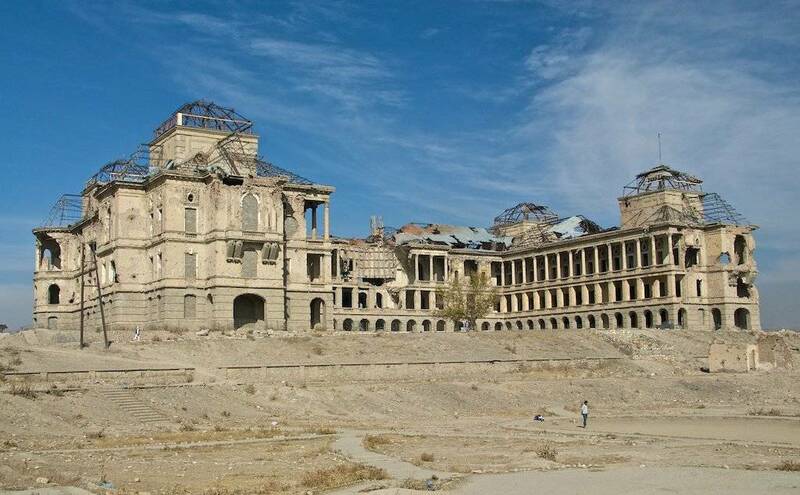 750 crack Soviet troops stormed the palace and killed President Hafizullah Amin (who had himself come to power by ordering the death of his predecessor). It was restored. 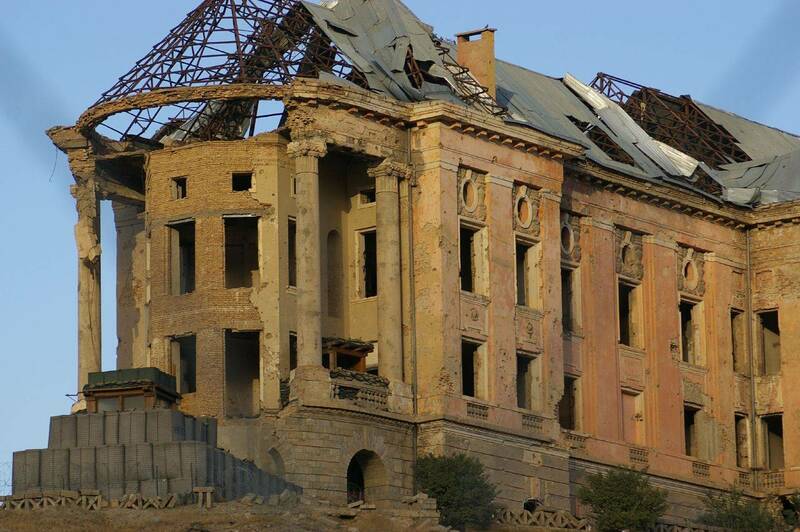 The palace would become the headquarters of the Soviet 40th Army and was progressively bombarded to ruins in the 25 years following the invasion. 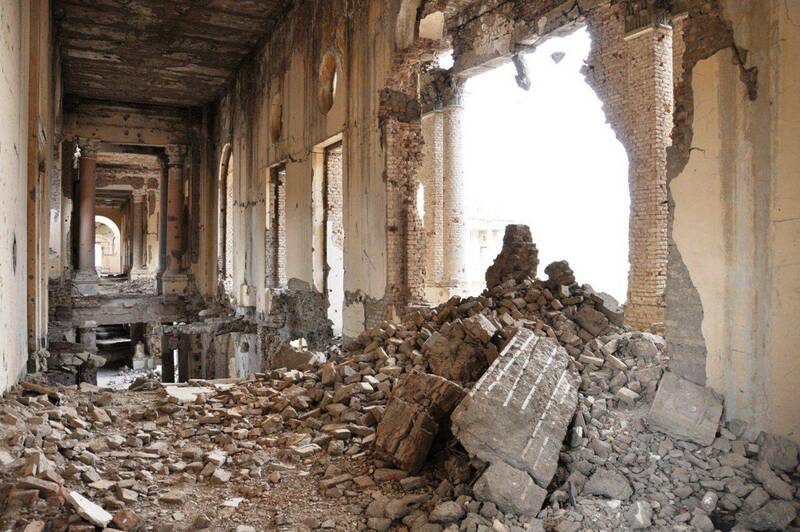 Yet all is perhaps not lost for these two shattered and broken palaces. 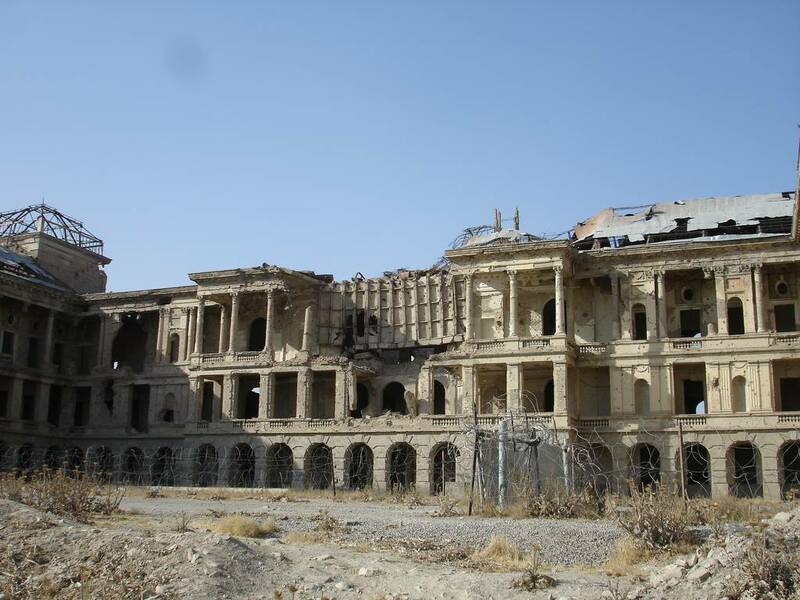 In 2012 Kabul City Council started an ambitious drive for funds which will hopefully see the reconstruction of both Tajbeg and Darul Aman. 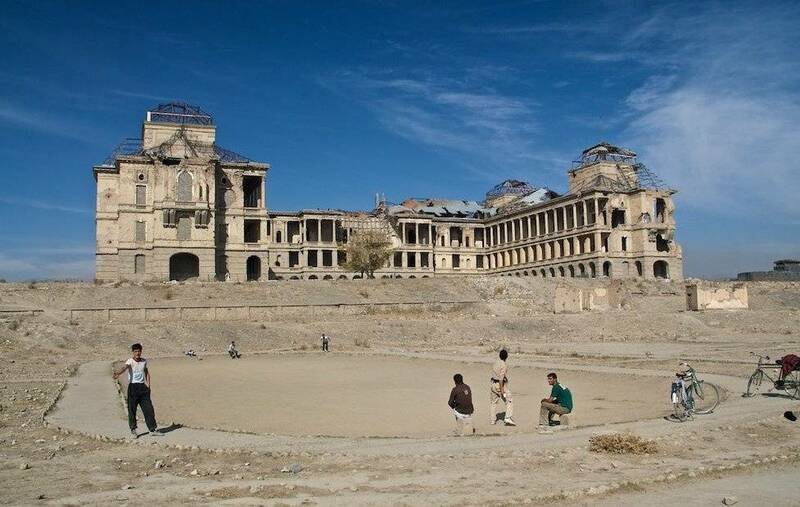 A small orchard has been planted in the grounds of the King's Palace - even though for the most part it seems to be still the domain of the local, soccer and cricket fixated boys. 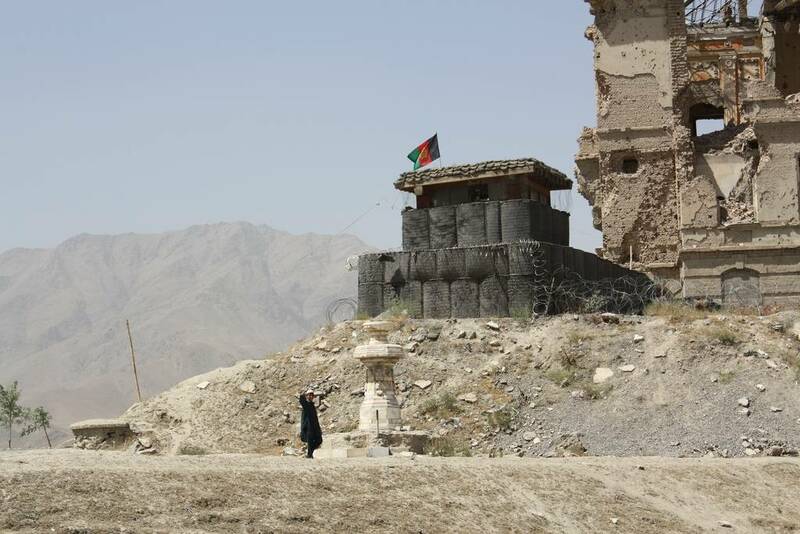 Although many million dollars short of their goal, the Afghans are a tenacious people. 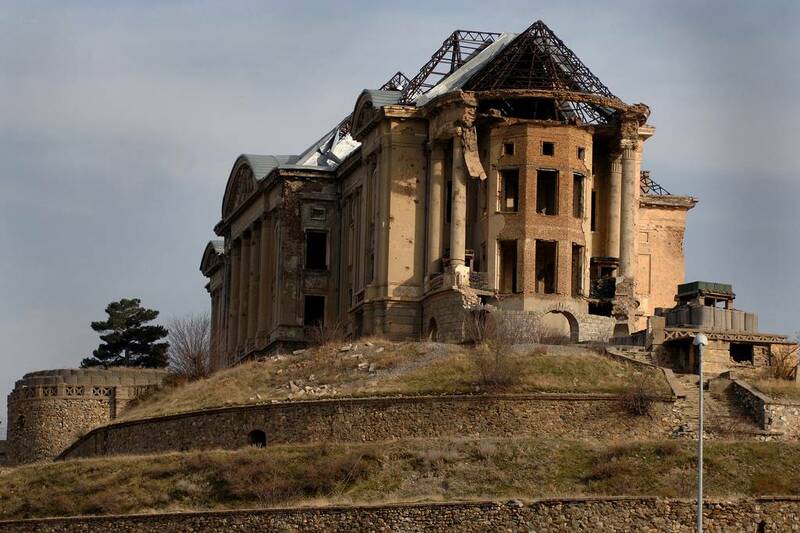 The world should not be surprised when these two once magnificent buildings are restored to their former glory. 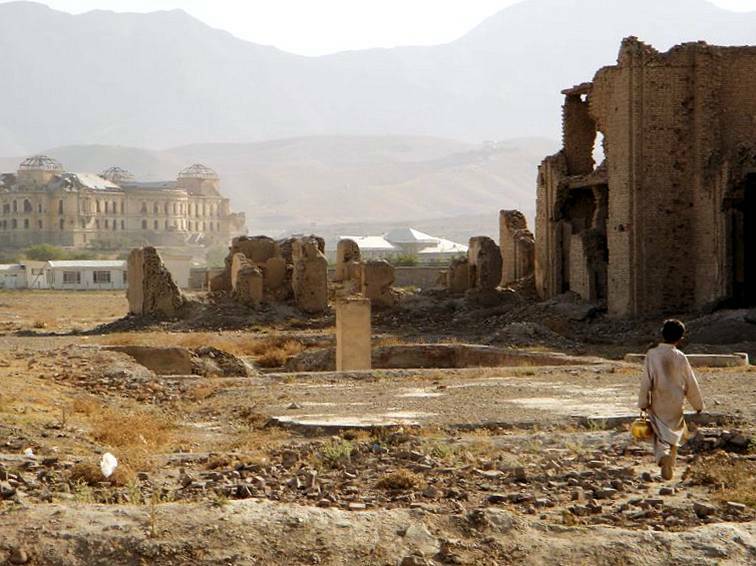 Would you take a vacation to Afghanistan? 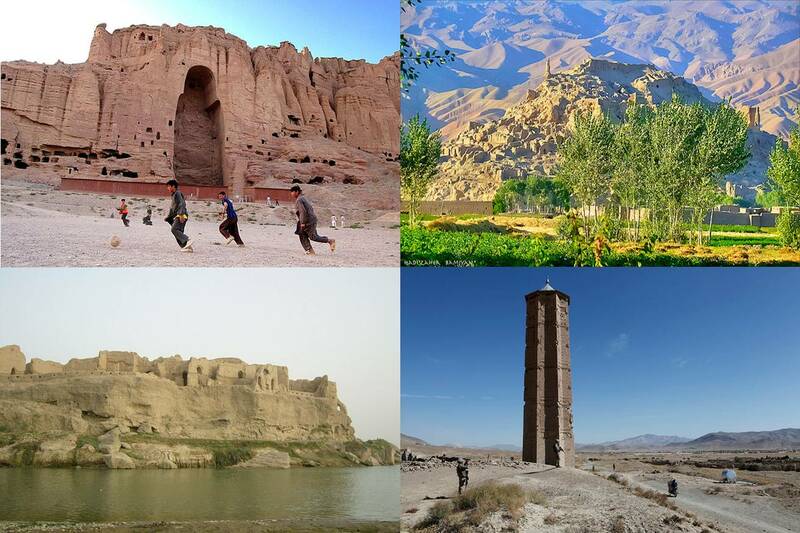 Kuriositas has featured Afghanistan before, including a number of the sites there which are little known outside of the country. You can read this feature by clicking the picture above or HERE.